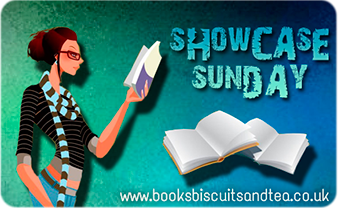 Showcase Sunday is a feature on Vicki's blog, Books, Biscuits and Tea, which shows off the books which one has acquired. I'm forgoing the usual Showcase Sunday post for a topic which is closer to my heart: German Fantasy. I acquired the titles mentioned over the past few months, in my usual fashion. 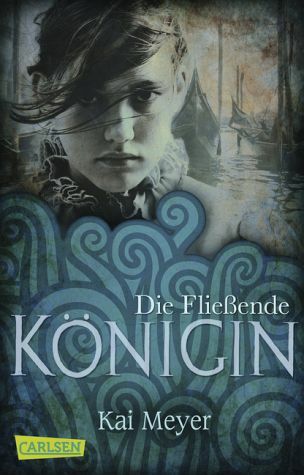 Some of you reading this may know I'm German bilingual, and that I'm currently writing a fantasy set in Germany and I'm ethnically German: this isn't a random attachment. I grew up on Erich Kästner and German dubs of all The Neverending Story, The Last Unicorn and Star Wars. I probably heard a different fairy tale each night, although 'The Star Money' was my favorite. 'Unlike England', Germany has a deep store of legends and mythology from which, you could argue, most Fantasy stems. The Ring of the Nibelung is a story about a ring, featuring a dragon, ghosts, and immortal beauties, it traces it's earliest mention to an Icelandic saga. The Bible was first translated into German. 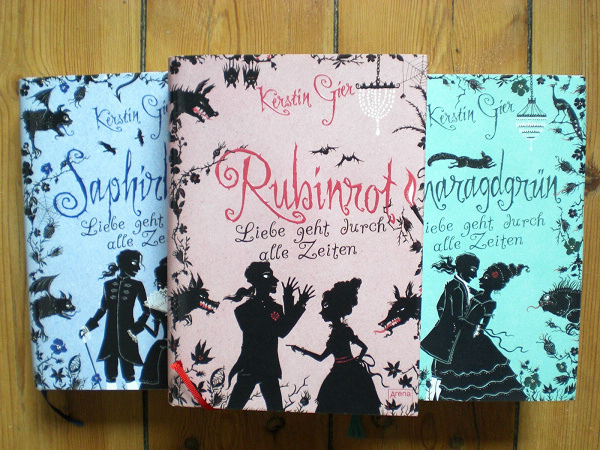 And the Brothers Grimm have been a source of Fantasy riffs since the 19th century. This is all misleading because for hundreds of years after Rome let go of the British Isles, they shared a language group and many of the same stories. Old English more closely resembles modern German or Icelandic more than it does modern English. The older the fairy tale, the more likely you can find it in British mythos as well as Scandinavian and continental German. I suppose this is not what J.R.R. Tolkein meant when he deemed it necessary to create The Lord of the Rings, since Britain lacked any sort of pantheon of gods who could possibly provide legends any large scope. Going in depth will be for another time. I started reading by practically inhaling the Libraries' and Scholastic Book Club's collection of Fantasy, and began - what my bewildered friend refers to as - book-hoarding. (Considering her small room is also bursting with an appropriately overwhelming amount of books, she shouldn't be talking.) But, I have to admit some truth to that rumor considering the titles that have 'appeared' on my tiny little shelf in my hermit's flat. Kai Meyer is very well known outside of Germany for his Dark Reflections series. (Pictured is The Flowing Queen sold as Water Mirror.) Before setting foot in a German bookstore, I'd heard of Kai Meyer because of his collaboration with a fantasy folk group who used his works as themes and lyrics for an entire album. 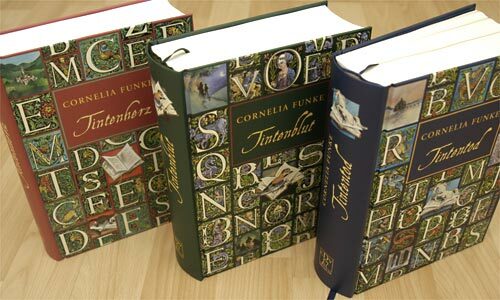 Cornelia Funke is probably the best known Fantasy author to modern readers. She wrote The Thief Lord, The Inkworld Trilogy, as well as a series about Dragon Riders. She's talented and pretty prolific, working on another series, Mirrormask, and has illustrated a great deal of her own books. 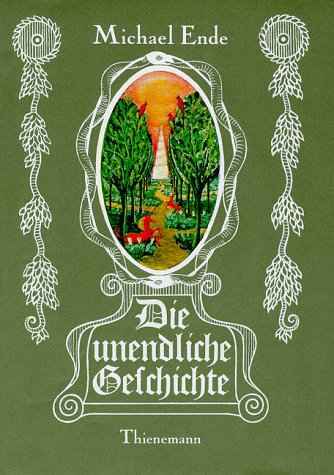 But you may still be familiar with The Neverending Story by Michael Ende. Arguably the best known to international readers. It's been made into three american films, after all, at the same time as establishing a magical reality that all reader's exist in, it also does some impressive work on subverting the fairy tale hero. It's a terrifying story and I look forward to digging into the original book at last. It would be an oversight to not mention a new German series which is getting a lot of attention among my English speaking GoodReads friends: Kerstin Gier's Gem Trilogy which is sold as the Love Lasts Through the Ages trilogy (that's a very loose translation). When I scrounged the town's flea market months ago, there was one question I kept asking those selling books: anything by Cornelia Funke? I did acquire one book, the last in the Wild Chicks series, but otherwise was told that no one was selling their copies of the Inkworld trilogy. Those stayed at home on the shelves and were probably going to left to someone in their will. Would I like to buy a bundle of Enid Blyton books for 2 euro instead? My trouble with German Fantasy begins with my comparatively pale grasp of vocabulary and ends with the nature of the book industry. The vocabulary issue is not very interesting, is solved by practicing. The book industry in Germany is something I can't make heads or tails of. Books in Germany are expensive. The laws are structured so that prices cannot be undercut by corporations like Amazon, who still find a way to do so, albeit slightly, and infrequently. This means that small-town book-stores, used bookstores, and libraries are a very important part of every community. However, buying a nice copy of a book, or even a paperback, is very costly. This makes book-hoarding nigh impossible on a students budget. The other problem is the uneven quality of the books you can read; delightful covers, famous imprints, enticing blurbs mean nothing to me anymore. Often the most promising books I can find are translated from English, Italian or French. I might guess, in an attempt to make money from a book-hungry culture, publishers will print almost anything. That's very cynical of me, and as my grasp of German improves, I'm sure I'll be able to pick out better books, or even appreciate books more. This isn't a problem I run into in English ever. My ability to find good and inexpensive books in America is practically an art form. I've cashed in on bargain sales from the big sellers so often that my shelves at home are bursting. I'm pretty sure I've passed the one-thousand-mark this past summer. (My next dilemma: how to get my new acquisitions home.) I've sworn off buying new books; for the foreseeable future I will be looking to bookmooch, netgalley, and of course the local libraries. How about you, do you find yourself disappointed in the offerings of your favorite genre sometimes? Has quality been submerged by quantity? Am I kidding myself, am I delusional? What are your thoughts on the titles I mentioned? (I know you're dying to ask about Star Wars... ) What books are you excited about having gotten recently? Nothing you want to answer, then share with me your favorite library. I feel like I've seen every interesting library to see online, and yet I still want more. New reviews coming next week, I promise. 'Til then!